Leaders in mine to market services. 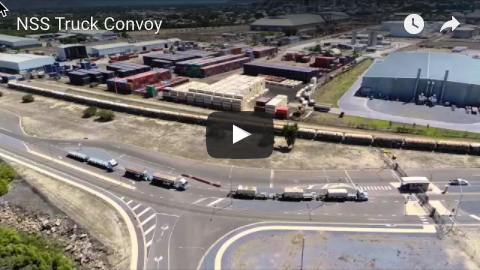 As part of a firm commitment to innovation, NSS has revolutionised stevedoring in Regional Queensland by integrating its operations with innovative, lightweight container rotator technology (RotaboxTM). The RotaboxTM enables NSS to handle bulk materials in the port using specially designed half-height containers. This allows NSS to provide a full 'Pit-to-Port' solution to their clients. 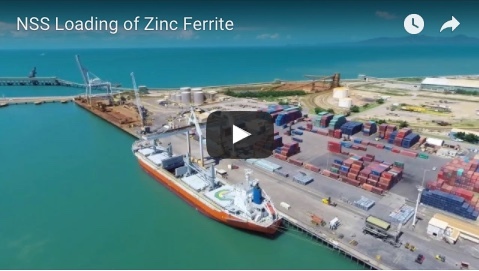 NSS provide a full 'Pit-to-Port' solution to several Queensland operators including Inova Resources (Osborne Mine) and Sun Metals Limited – transporting copper concentrate and zinc ferrite, respectively. To learn more about how NSS has you covered from pit to port contact us today on +61 7 4722 4800 or via email on info@nsspl.com.au.